Abigail Padgett grew up in Vincennes, IN, and holds degrees from Indiana University, the University of Missouri and Washington University, St.Louis. She has taught high school English and college courses in Sociology and Creative Writing in San Diego and Boston, directed an ACLU chapter in Houston and worked as an advocate for the mentally ill, plus enduring some truly weird temp jobs. 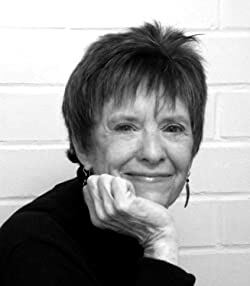 Abbie is the author of seven highly acclaimed mystery novels that have been translated into five languages, one novel among which, CHILD OF SILENCE, was made into a movie in France. (Which must have been challenging, since the novel's action takes place in the California desert and features Native American Paiute people.) Her eighth mystery, BONE BLIND, is set in the Boston suburb of Newton, where two horror novelists and a detective just months short of retirement investigate a decades-old unsolved murder the spin from which proves even more deadly than the original crime. THE PAPER DOLL MUSEUM, also a mystery, steps over the line into speculative fiction. Please enter your email address and click the Follow button to follow Abigail Padgett!